It is easy to see that the vast majority of Nepal's unparented children lack in physical development. 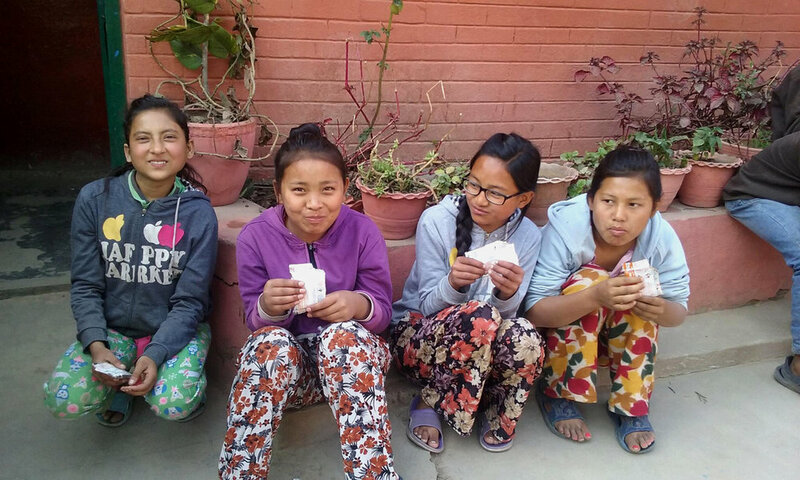 Even by Nepali standards (which are different from US norms), the children are small, often looking much younger than their chronological age. This is due primarily to malnutrition. The World Health Organization estimates that 21,600 children in Nepal under the age of 5 die of causes related to malnutrition every year - that's too many kids. * Those children that do survive often have trouble fighting infection and can grow up to be physically stunted and mentally challenged. Treating the problem is often complex; many unparented children are ravaged by parasites, so their bodies do not appropriately absorb the nutritional elements that are available to them. Many of the nutritional supplements used in the developing world have to be mixed with water, and often the water used to deliver the supplements is unclean and ends up tainting the supplement, thus defeating the purpose of the aid itself. NAFA Nourishes provides Plumpy’Sup, a six-month immediate treatment, presented as a highly efficient and easy-to-store food supplement. This enriched peanut butter based supplement is designed to help children in or around the malnourished range. Plumpy’Sup requires no water for preparation and no refrigeration for storage. NAFA Nourishes also works to rid the orphanages of the parasites that steal these children’s nutritional absorption by partnering with water aid organizations to provide filters for clean water and stressing to the kids the importance of staying hydrated. The science of malnutrition is clear: undernourishment in the developmental years leads to serious physical and mental health issue. But when treated, these same children and make full recoveries and go on to live long healthy lives.